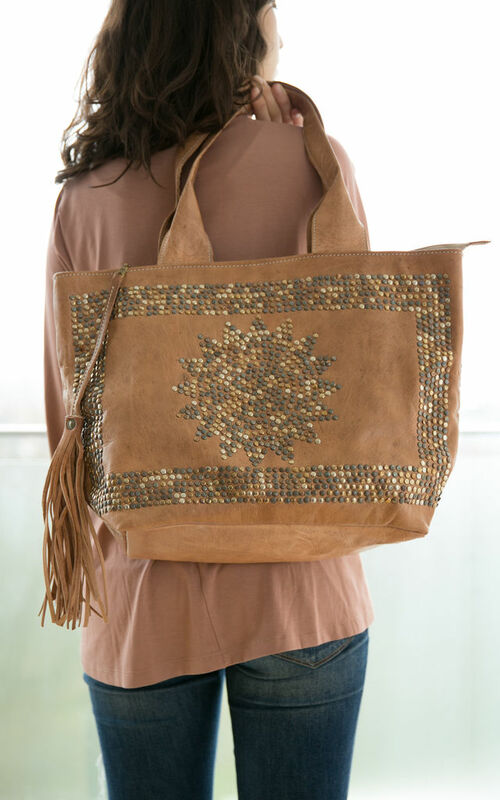 Our Najma (meaning star in Arabic) bag is handmade by our artisans in Morocco using traditional handicraft techniques. With leather that will become softer and more vintage-looking with time. 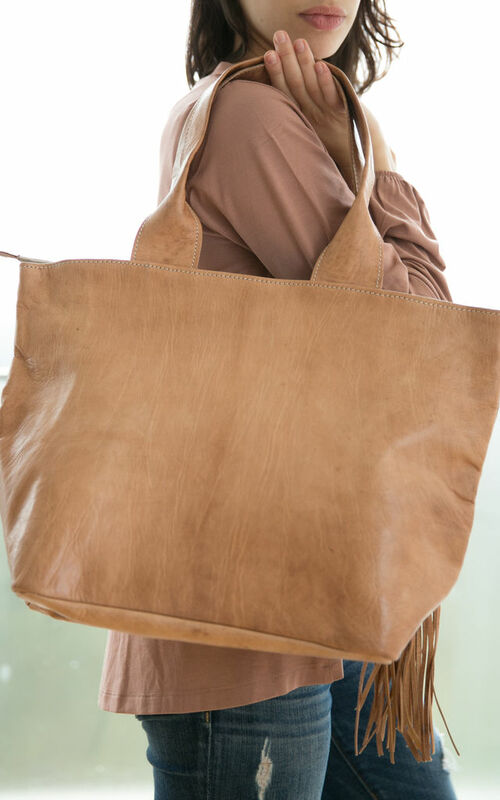 Following the Moroccan tradition of avoiding harsh chemicals, all of our leather is naturally tanned. This can mean that the finished product retains a strong leather odour. Please rest assure that this will reduce with fresh air and of course the more you wear your beautiful bag.